That powerful rhythm and grand beat that you love in your favorite music tracks, that is definitely what makes your songs impressive, ain’t it? Anker offers elite sound quality and style at one of the most affordable prices through the Anker Classic Speaker, a well ranking speaker online. Well, it’s got the clean look, it’s got the crisp sound, it’s got the power and, it’s made for ease in handling. Doesn’t that sound impressive? 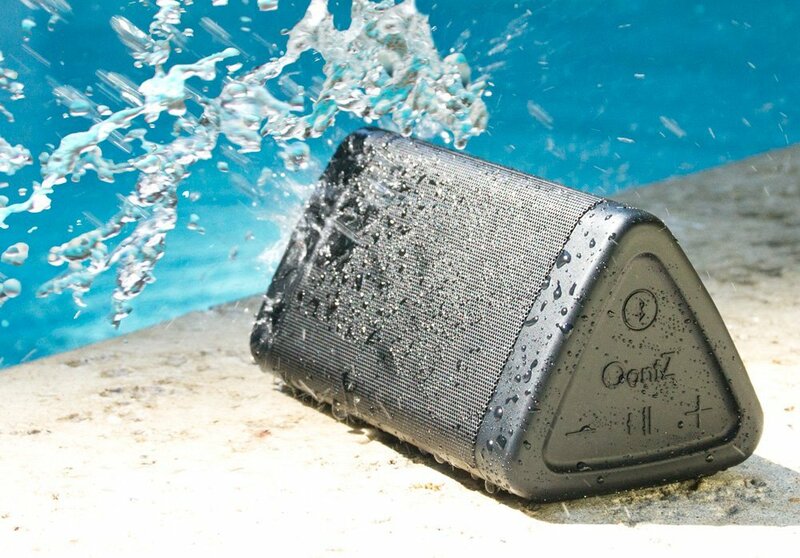 Feel the positive vibe of music, it’s all about high definition sound; you will experience the fine clarity and fullness of your song with this portable speaker. Be it the smart ones or not, we got to admit most of our phones, even the sophisticated ones, and majority of our desktops or laptops have speakers that ain’t cool enough for music—they usually twang rather than boom with the bass. And, if plugging in your headphone is gonna block you out from the world around and not help you share your songs, why stick to it? The Anker Classic Mini speaker is my choice. It can amplify all my music with the right balance without any jerks, it does sound great! The 2.36 x 3.15 x 2.36 inch Anker Classic Speaker has a beautiful form with a simple and neat finish about it that gives the speaker a genuinely good look. Almost like a perfect cube, the speaker is slightly tall and elegant with neat edges and built-in control panels, nice and easy. The other thing that struck me when I opened the package and held the speaker for the first time was that it wasn’t heavy at all, though it had a solid feel about it. The speaker weighs just 9.9 ounces. The Anker A7908 Classic packs a high definition sound system with its 4watt 2inch audio driver and tops that with a bass port which endows the speaker with a rich sound experience. Let me note here that when I check out speakers, I usually find that either the high or low pitch plays excellently well and as it goes down or up the other end, distortion occurs. But with this speaker, even in the narrow volume range between the two, it has stunning clarity. So you are literally pumping out volumes of clear high definition sound from a decent boombox, how’s that for a change? It’s Bluetooth Version is 4.0 and is compatible with Bluetooth versions over 2.1. It supports a fairly good Bluetooth range of 33 feet. Besides, the speaker also has broad compatibility that allows you to connect with any Bluetooth device. 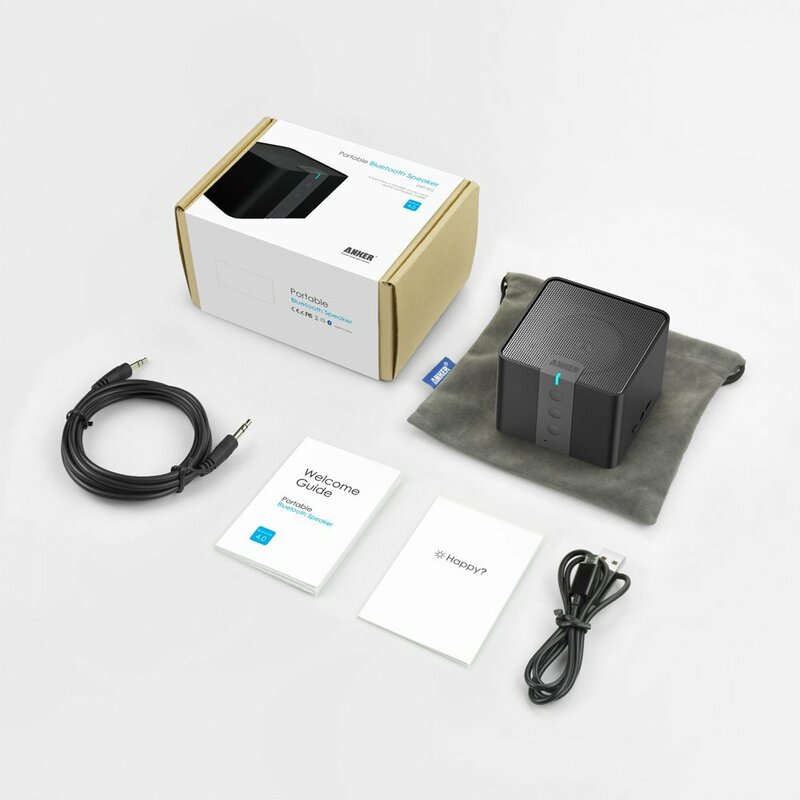 What’s more, it auto-connects to the last-connected device as you switch it ON, it’s as simple as that. The speaker is definitely user friendly; even my son, aged 6, can operate it— it’s as easy as sliding the ON/OFF switch. Well, there’s no real danger to it, so I let my son do it for me whenever he is around and he sure takes pride in it. I especially like the fact that I hardly miss my calls even if I leave behind my phone in my room and go about the house, now that I have my ringtone volume amplified through my Classic portable mini speaker when I know that I am going to be busy around the house. I am not getting busted anymore for missing calls. ☺ The unit doubles as a speakerphone with a 2-feet pickup range microphone so you can even answer or make calls mid-song. The Anker Classic portable speaker is powered by Lithium-Ion battery that has an amazing battery life which can last up to 20 hours on a single charge. With a battery capacitance of 2100 mAh, Anker made a breakthrough with one of the longest playtime, packed into one of its smallest products. Imagine it, my speaker is only a 3 inch cube, and fits perfectly on my palm. How exceptionally cool it is that you can play it a whole day without bothering to charge it. The battery life is indeed commendable. You can well carry it outdoors, when you are on the road for long hours or probably a whole day. You even get a travel pouch along with the package. But undoubtedly, for a portable speaker of its size, the battery potency is unrivaled. Well, your ideal mobile audio, delivered. What’s more, the manufacturer offers a good long 18-months warranty and free life-time technical support. With unrivaled battery capacitance, high-definition sound, and Bluetooth range that exceeds the standard range for its version, the Anker A7908 Classic Bluetooth speaker is one hell of an exceptional speaker well worth its price. Lucidity in design and performance, I believe, was probably the main catch that was meant to make the speaker ‘Classic.’ ‘Sense and simplicity’ finally seems to make some sense to me, this speaker and the phrase attains a whole new dimension together. It’s just like merging high definition audio clarity to a good bass response in the A7908 Anker Classic Portable Speaker and hoo..! Resounding! This is a must-have, as far as I know, and it won’t burn a hole in your wallet. Right now, it’s the Apple of my eye. I say, go for it!